We have therefore arranged 3 different solutions as starting equipment. 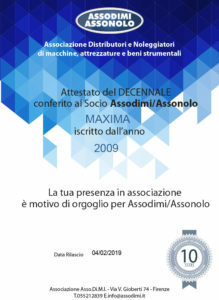 We supply any information needed and customer support, in compliance with the tested Maxima style. Our turnkey packages have all the necessary to propose an effective and comprehensive service above all for those who have no experience with rental. All this is made in compliance with the latest regulations in force for this subject. 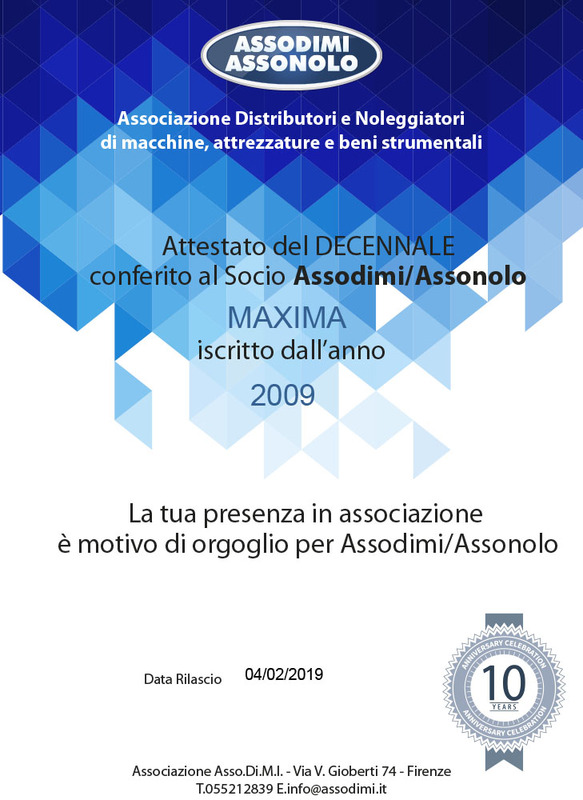 Maxima SpA is a member to ASSODIMI ASSONOLO, the Association of Distributors and Rental suppliers of industrial machines.